Rachel and I met our first week at college, where we lived two doors down from each other, and became friends immediately. Rach has always amazed me with her near obsessive organizational skills, especially when it comes to planning parties. 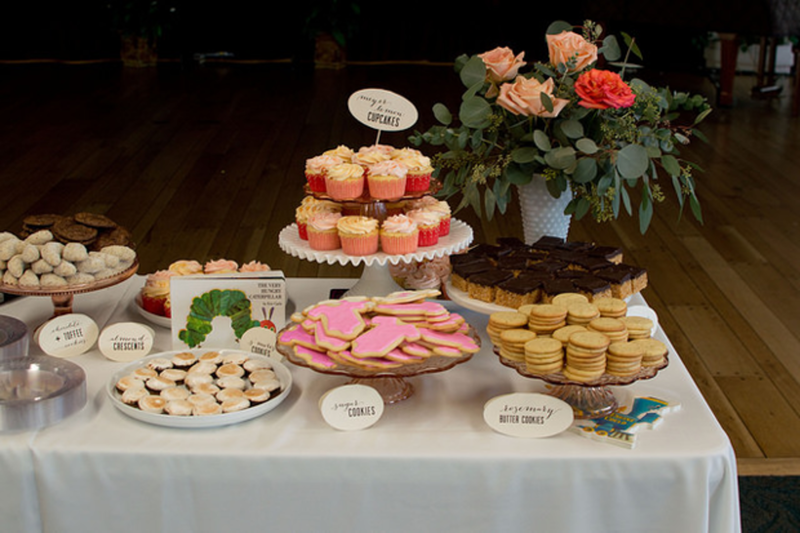 Case in point: she planned her sister&apos;swedding, her own wedding, and thrives off prepping (and baking for) baby showers, bridal showers and our yearly Friendsgiving. 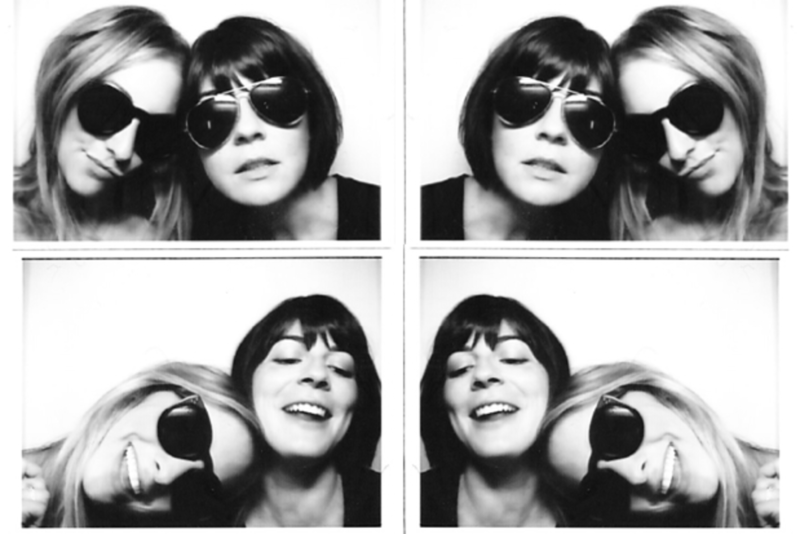 I&apos;ve asked Rach to share some of her tips on how the she manages those near flawless parties. It&apos;s all about logistics. "I work full time and certainly can&apos;t ask for time off every time I throw a party, so I plan ahead and schedule it to death. At least a few weeks before a party I sit down and get serious. It&apos;s easy to get caught up in Pinterest-y details, but the most important part of hosting is making sure your guests are comfortable and you aren&apos;t running around like crazy when you should be mingling. Sit down and do the numbers to make sure you&apos;ll have enough food and drink, that there will be space for everyone, seats for everyone, a way to heat the food, etc. I try to run through the entire party in my mind, so that I catch any issues I might be overlooking. For instance, how are you going to chill the drinks the night before if your entire refrigerator is filled with cupcakes? If you&apos;re doing most of this yourself, you should schedule all your prep well ahead of time. I print out my calendar, make a list of every little task I have to do, and then start scribbling away like crazy, assigning tasks to different days as far as a month out (or several months, in the case of our wedding). Since I work full time, I have to be extra careful about scheduling. I can&apos;t count on more than a couple hours an evening to prep so everything needs to get broken down into smaller tasks. I always choose my menu based on logistics as well, making sure I&apos;m not overloading myself with dishes that have to be cooked at the last minute." Delegate. "You can&apos;t do everything yourself. If you&apos;re co-hosting, divide up the labor. 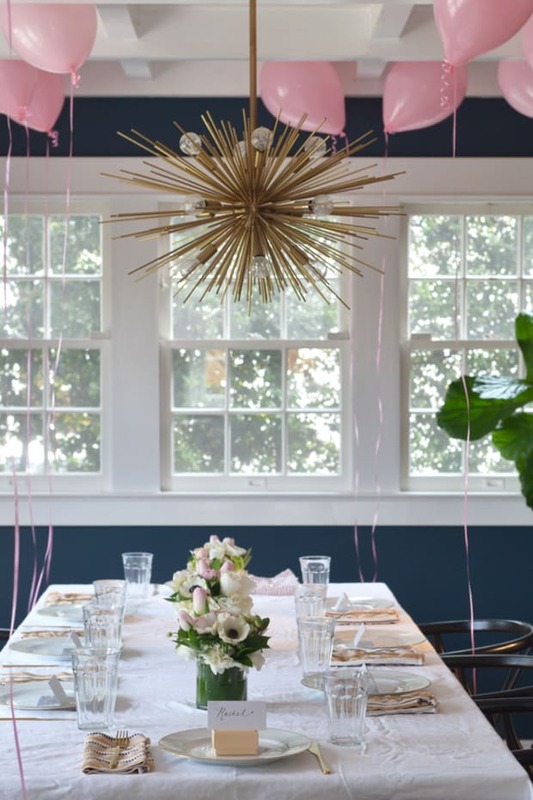 If you&apos;re throwing a big party solo, you&apos;ll need to figure out what you can outsource to stay sane. 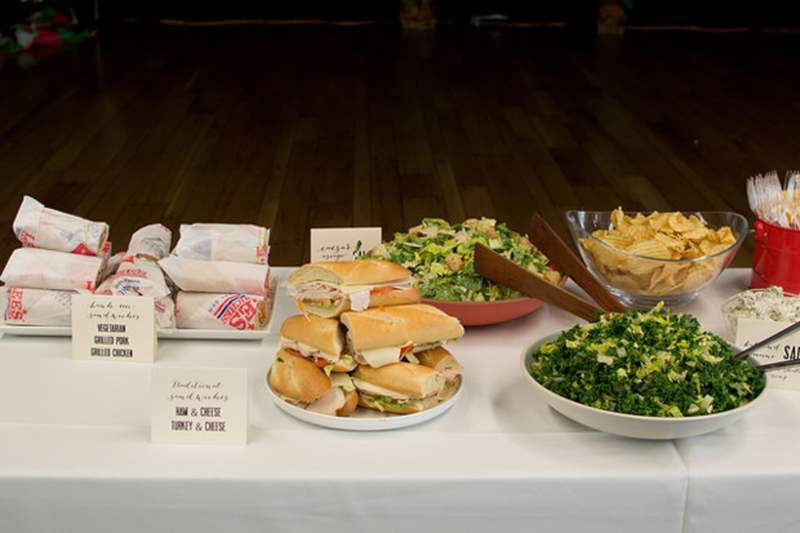 For my sister&apos;s recent baby shower, which was large, I made the desserts (because I love baking) and a couple of enormous salads (because it&apos;s so much more cost effective to make salads than to buy them) but I ordered sandwiches from her favorite place which saved me a lot of work." Everything flows from your guest list. "With 12 people, I might plan for an intimate meal served on china. With 35 people, I&apos;m more likely to stick with a buffet and (nice) disposable plates, just to keep myself from going crazy. 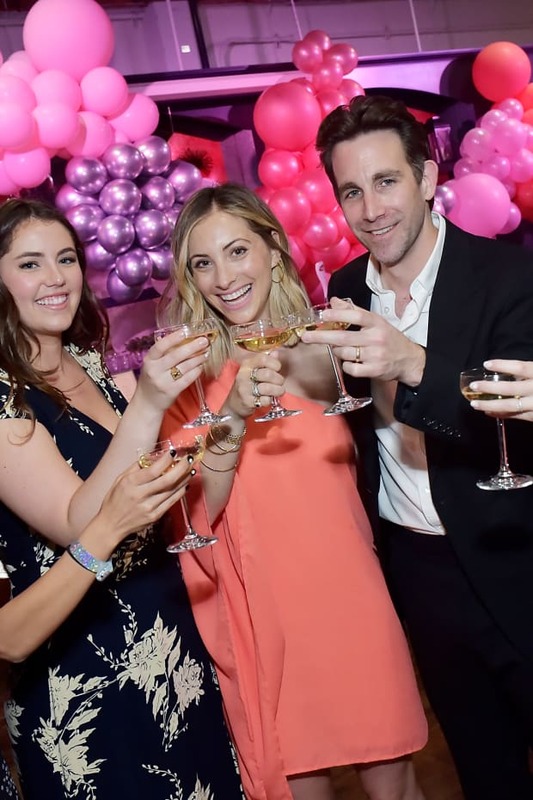 Don&apos;t worry - you can still make a party of 35 look gorgeous and feel personal, you just need to remember to keep as much of it simple as possible unless you have a lot of help." Details matter. "But you don&apos;t need all the details. A few well placed details can make a party feel incredibly personal and look gorgeous. 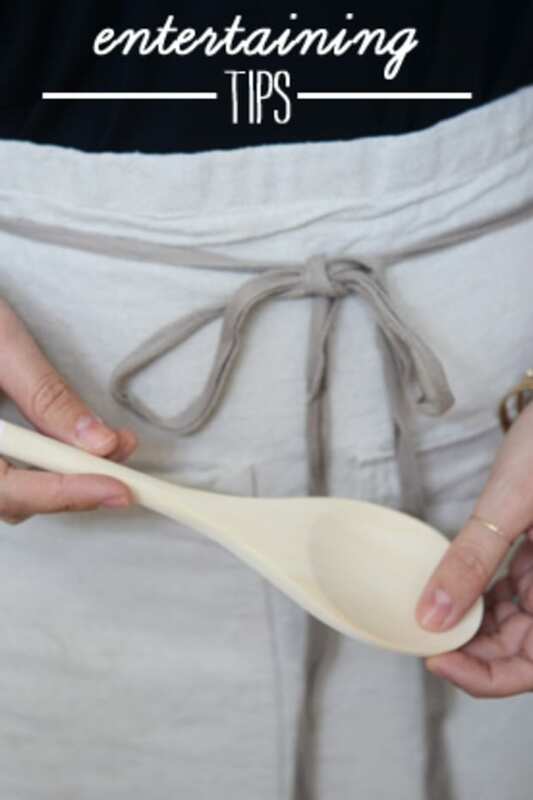 But you can easily overwhelm yourself trying to DIY a million tiny details that then get lost in the shuffle. I always limit myself to 1 - 2 high impact details and 2 - 3 tiny details. High impact details are the ones that hit the guests in the face as they arrive, in a good way. 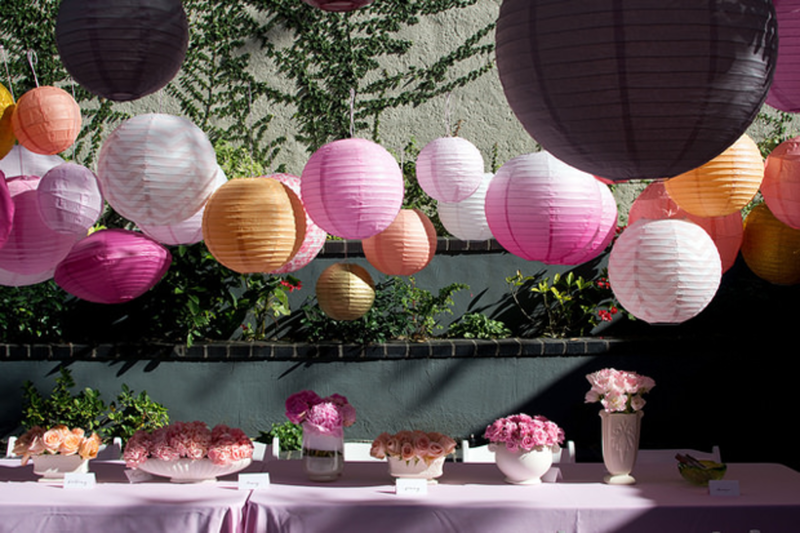 A gorgeous dessert backdrop, or beautiful floral arrangements, or big clusters of balloons. They don&apos;t necessarily have to take forever to put together, just think big. 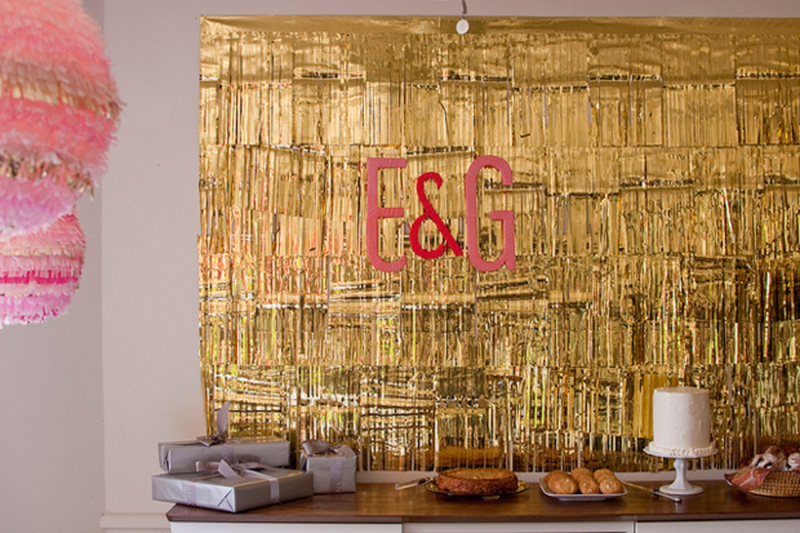 For Emily&apos;s bridal shower I covered an entire wall of my apartment in gold fringe I purchased from the party store. This didn&apos;t cost much or take much time, but it set the tone for the party. For our wedding, my husband and I made a bright streamer backdrop for the ceremony. These are huge, eye catching details that the guests will notice immediately. It&apos;s supremely dorky to admit this, but I now think of them as "Instagram moments" because they&apos;re the images people will break out their phones to capture." Once you&apos;ve chosen your high-impact detail, chose a couple small details. 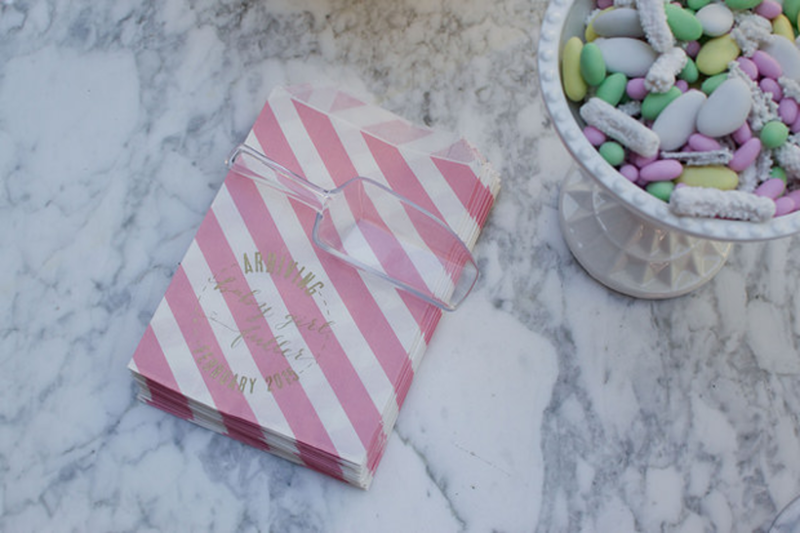 "These are the little, intimate details that won&apos;t jump out at your guests immediately but will surprise them. 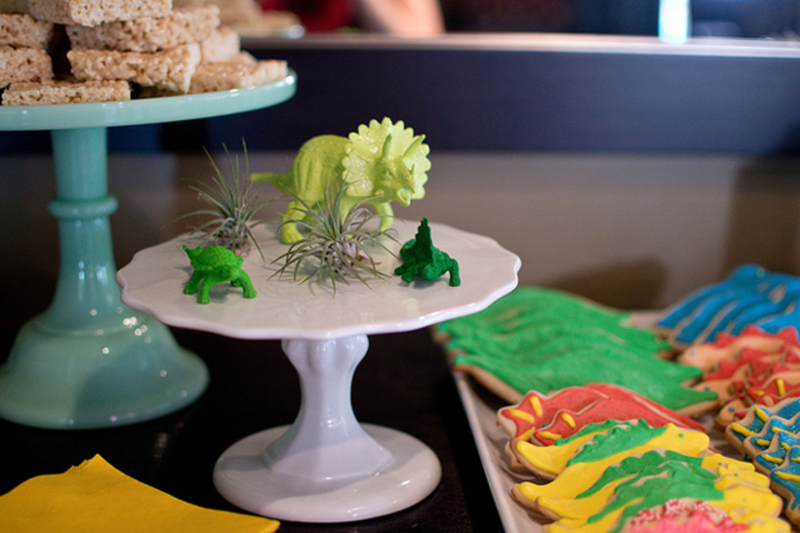 For a friend&apos;s baby shower last year I spray painted little dinosaurs and tucked them in among the desserts. I&apos;m also a huge sucker for custom stamps, so I&apos;ll often design a stamp and then use it throughout the party. 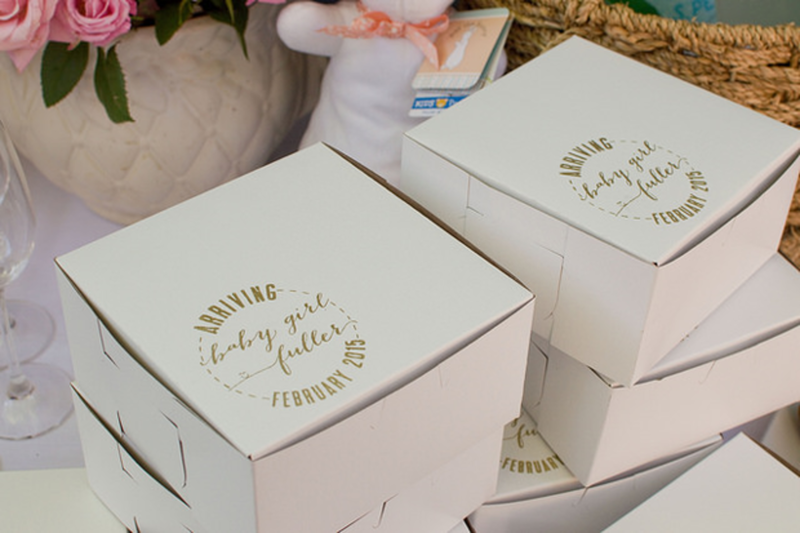 For Emily&apos;s baby shower, I designed a custom stamp and then used it on bakery boxes, since I knew we&apos;d need to get the guests to take home all the extra dessert! I also used it on the bags for the candy bar. It was just a little thing, but it felt very personal. (Side note - I&apos;ve been using rubberstamps.net for years, but there are lots of places online and you can usually even find a shop in your town that does custom stamps)"
And a few tiny things that always make a party better. 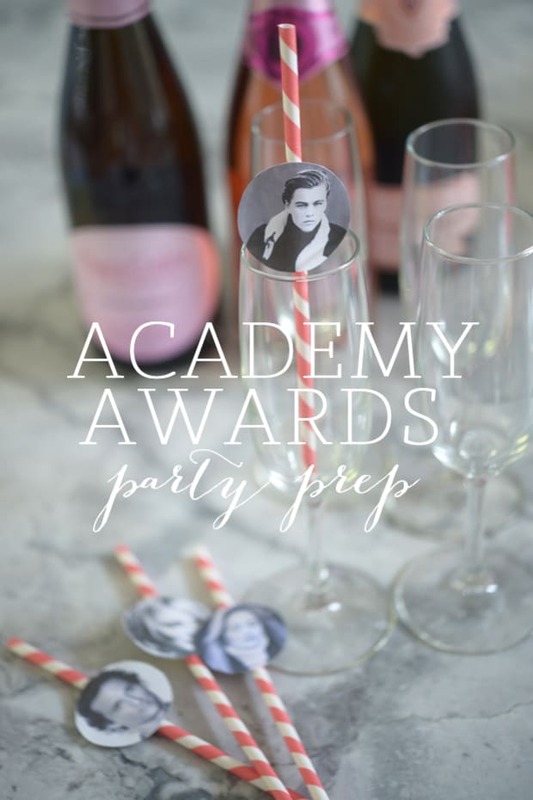 "Placecards and assigned seating, so that no one feels like the new kid in the cafeteria, labels for all the food, so that you don&apos;t have to spend the entire party telling everyone what everything is, and background music, even if it&apos;s just a Pandora station."